Excellent location with approximately 153′ of Highway 71 frontage, and an approved pylon sign location. 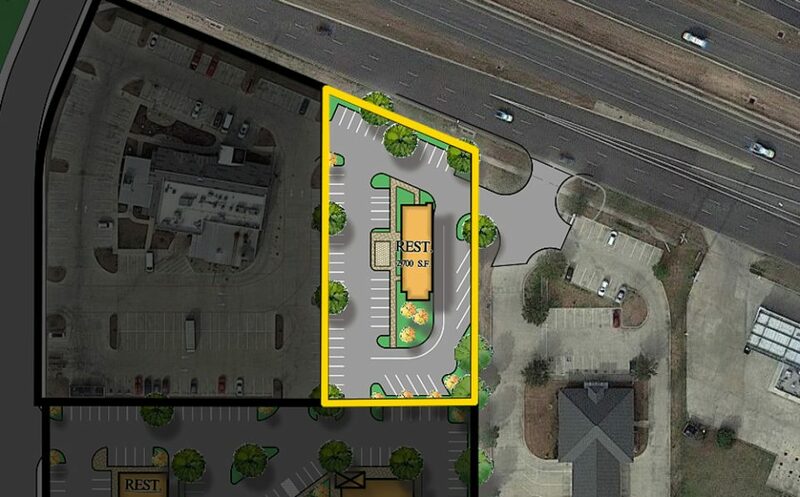 This is a small 0.90 acre parcel but with very high traffic and ingress/egress to the SH-71 frontage road, as well as high visibility, making this an ideal location for a drive-through restaurant. Currently planned as a 2,612 s.f. restaurant with 55 parking spaces. This parcel is currently planned for restaurant use and is zoned “PD-Commercial” – Allowing for low intensity office and professional uses, general retail, neighborhood and regional shopping, hotels, restaurants, service facilities for the retail sale of goods & services, retail and light intensity wholesale.